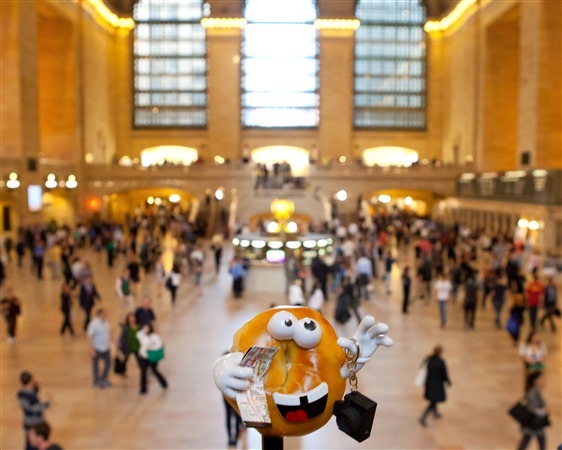 Treat yourself to a sesame bagel and an inside peak at the inner workings and behind-the-scenes secret treasures of one of the world’s Top 10 tourist destinations, Grand Central Terminal in midtown, NYC. Our guided walking tour showcases the history of the terminal, it’s architecture, and little known (but interesting) facts. Grand Central has been renowned as a premier destination for more than 100 years. Trains such as the 20th Century Limited set the highest standard of luxury travel for its time. These days, the terminal is also a destination for deliciousness exhibited at an exceptional range of top food establishments. A special variety of these yummy delights can be experienced at Grand Central Market® and at several eateries on the lower level dining concourse. Granted landmark status in 1976, Grand Central remains one of New York’s great tourist destinations with many stories to tell, and now many tastes to savor! Enjoy our guided tour of Grand Central Terminal today!